The Omega Notebook with Pen printed with your logo is a great corporate gift. 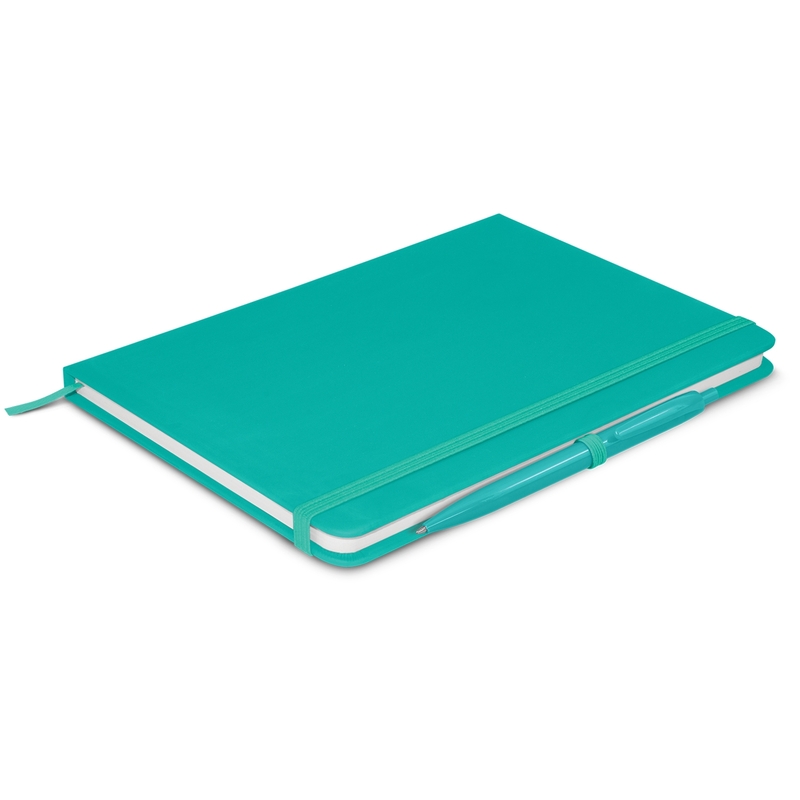 The Omega Notebook looks fabulous with your logo printed or debossed onto the front. 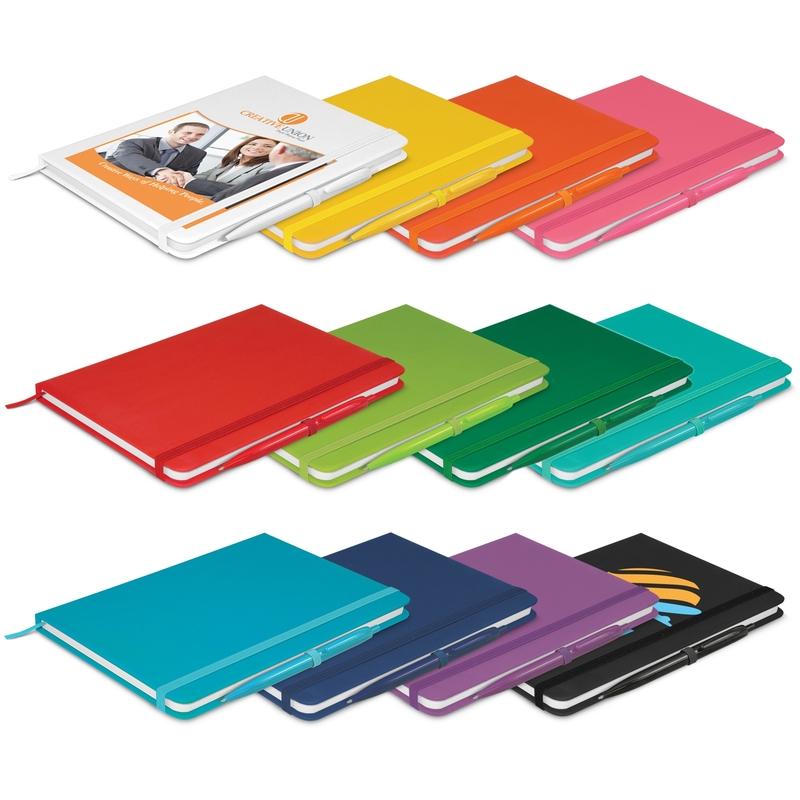 The Omega Notebook with Pen is available in 12 different colours to match your branding. There is an option for you to order the Omega Note Book or Pen alone, or together as a combo. Goodgear supply printed notebooks, printed pens, printed note pads, printed drink bottles, printed umbrellas and more! We have an extensive range of unique promotional products that can be branded with your logo. We also supply uniforms with your logo embroidered or printed. We deliver branded uniforms and promotional products Australia wide. Ask us for information.